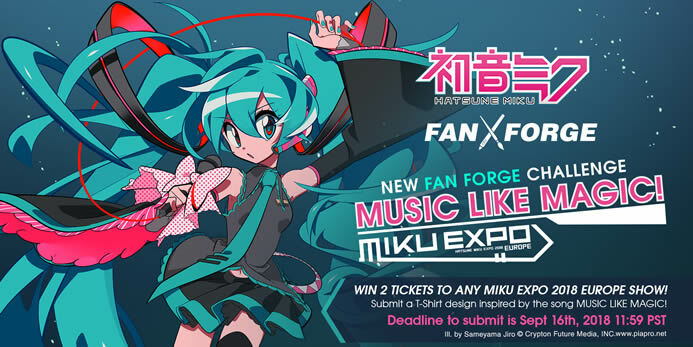 The next Hatsune Miku Fan Forge by For Fans By Fans is underway to celebrate the upcoming Hatsune Miku Expo 2018 Europe events! This time the design challenge is centered around the theme song “MUSIC LIKE MAGIC!”, composed by OSTER project! The contest asks participating artists to submit T-shirt designs based on the concept of the above theme song. 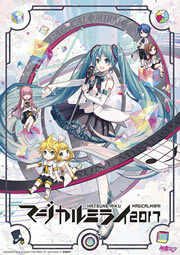 Participation enters you for a chance at the grand prize, which is a pair of tickets to the Miku Expo 2018 Europe concert event of your choice, or 5 pieces of the official tour goods! 2 runner-ups will be awarded 3 pieces of merchandise from the tour. All winners will also be awarded commissions on goods sold with their designs.